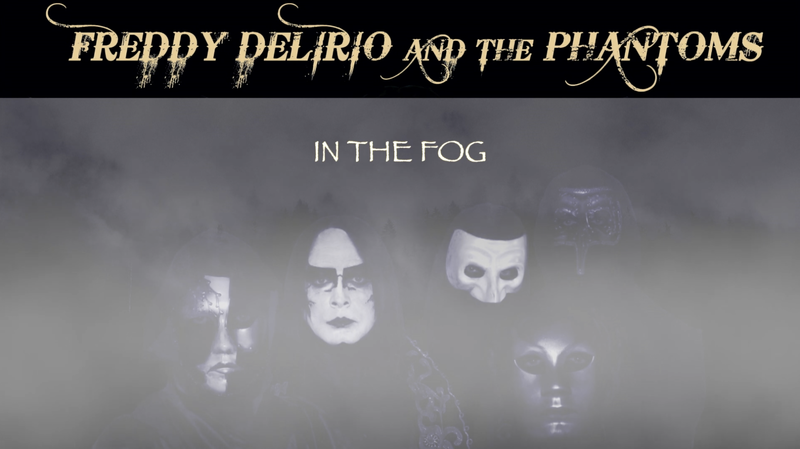 FREDDY DELIRIO AND THE PHANTOMS “The Cross” out now; new lyric video for ‘In The Fog’! The wait is finally over. FREDDY DELIRIO AND THE PHANTOMS, the new project of FREDDY DELIRIO, DEATH SS keyboards player, last Friday have released the debut album “The Cross” via Black Widow Records. In a surreal atmosphere where our ghosts are surrounded by the fog, light emerges for an instant to embark on a new journey. Every sun rise, cyclically writes our sense of existence. Tomorrow a new dawn and for me a new life! Vincent Phibes the 6 string ace, will make a guest appearance! Melodies, solos and a chorus entwined perfectly which will stick in your mind. The album is available also as limited edition colored vinyl with stickers + poster.